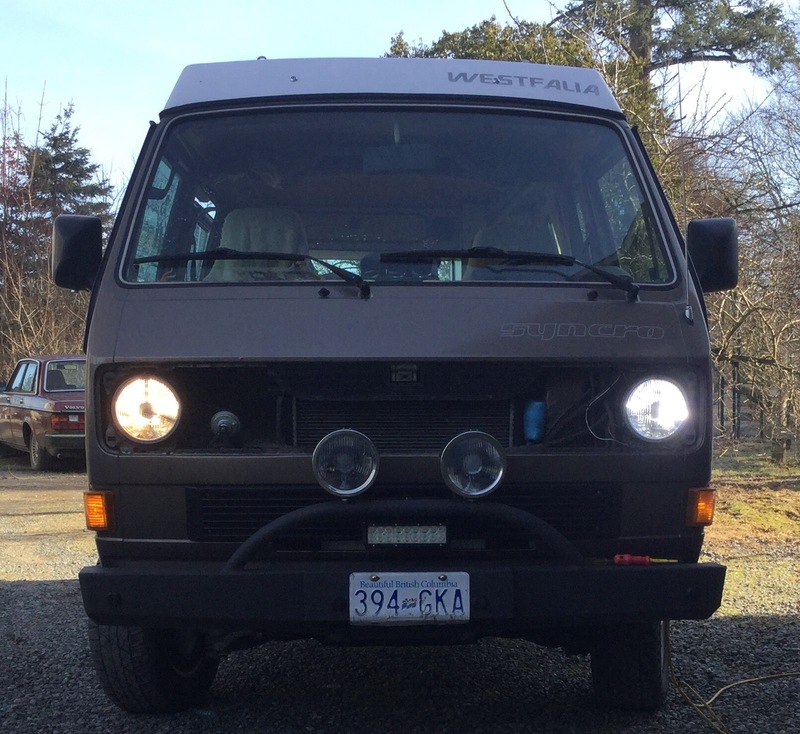 This entry was posted on January 17, 2017, 9:43 am and is filed under vanagon, vanagon mods. You can follow any responses to this entry through RSS 2.0. You can skip to the end and leave a response. Pinging is currently not allowed. Thanks for sharing Alister. Nice article. Paul. It’s obvious that I wasn’t blown away by the lights, but they weren’t a complete bust either. The beam pattern is very good, it’s the same as it was with halogen bulbs so the led element placement must be pretty good. But there is something about the light quality that seems to fail for distance projection. Maybe our eyes aren’t as sensitive to that colour? 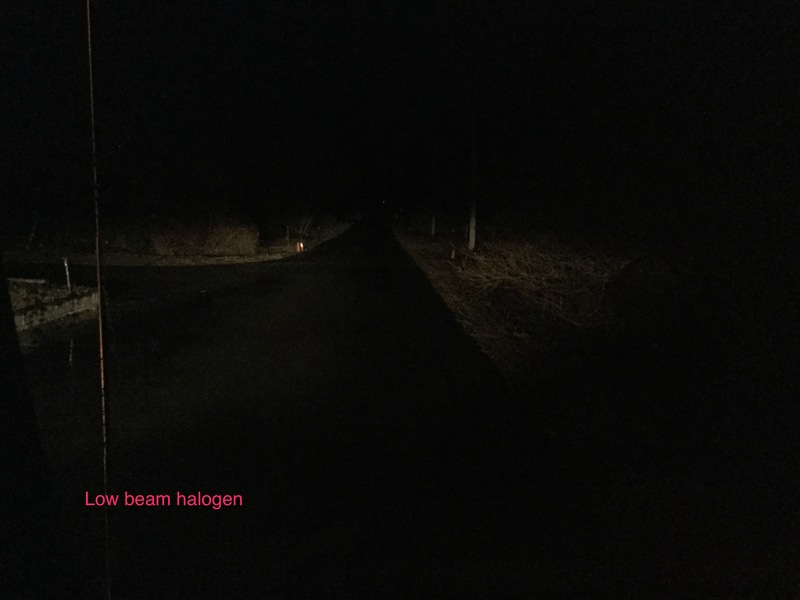 Maybe the lower kelvin halogen, or it’s a more complete spectrum, is picked up better by our eyes.? Easy choice Alistair, toss the radio! I’m kinda on the fence about the led lights. If they could fit I would put them in the auxiliary lamps and keep the halogens in the main beams. 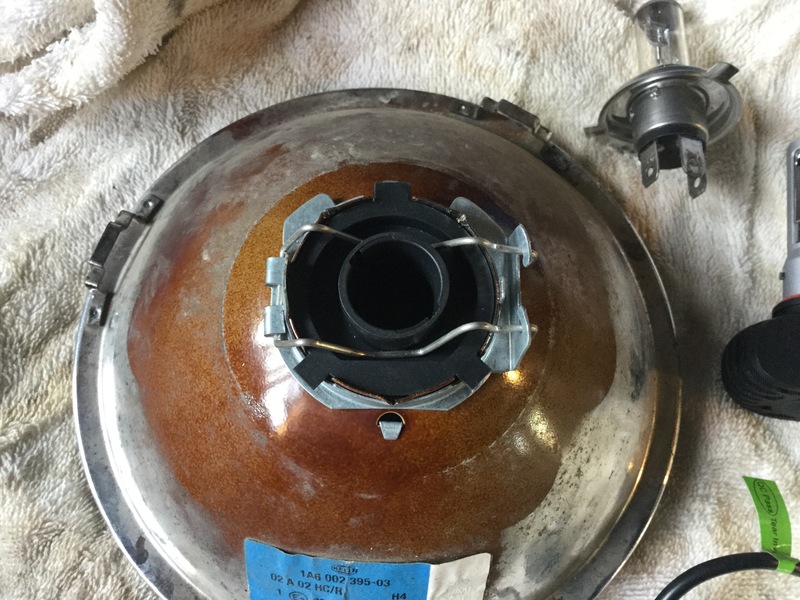 Unfortunately the aux light metal housings are not deep enough, I would have to punch a hole in the back of them and have the led heat sink sticking out. Well maybe I might do that. 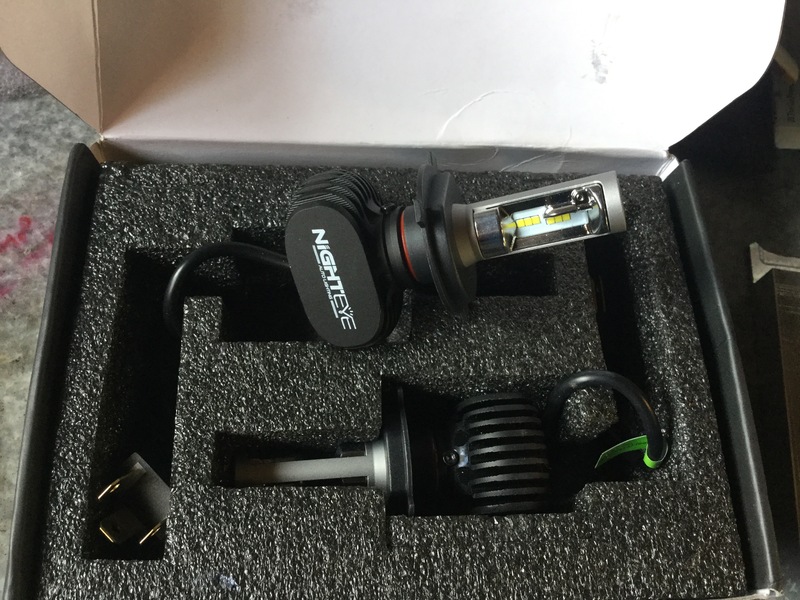 FWIW I ordered the H4 LEDs from CamperVanCulture. No-name bulbs that didn’t have great light cutoff, and the radio interference was also ridiculous. I added some ferrite cores to the wires and it helped. 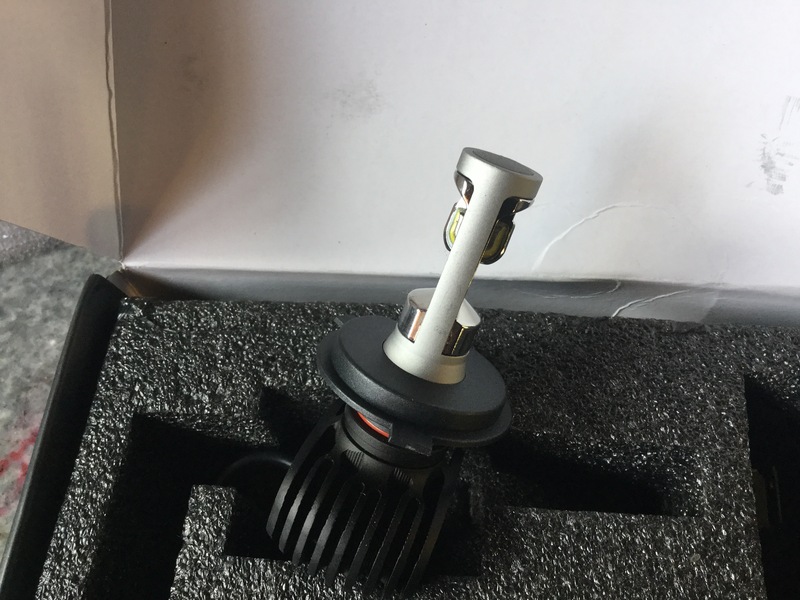 I ordered another set of H4s from Amazon, also some chinese production knockoff (shipped direct from China). No radio interference on these but the light pattern isn’t ideal. I’d actually be willing to try the Philips bulbs if I can find them. I’ve found that with LED lights in my house (I have nearly 50 LED bulbs in the house) that you get what you pay for in terms of interference and lighting quality. Thanks for the comment. 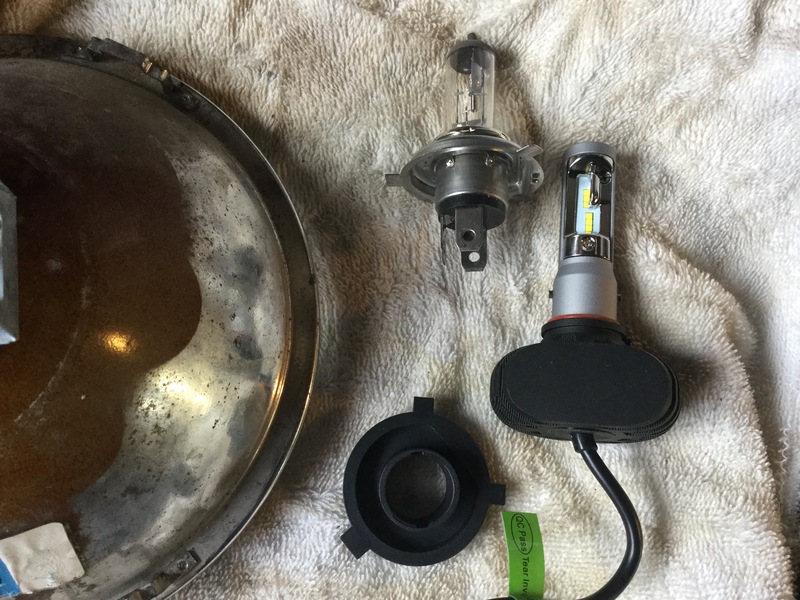 I was wondering about campervan culture’s led bulbs. Yeah it seems, form the little web searching I’ve done, that the radio interference is more common with cheap leds. And just to add to my experience with that is the interference is only audible with weak stations. But still, it’s not a good thing. If you had 49 bucks or so to squander, try the lights I bought. But who am I kidding, save up for the Philips original. The ferrite rings, you added them just to the power leads of the lights, right? I was thinking of adding one to the radio power lead as well. My radio didn’t come with any power conditioning boxes ( unlike radios I’ve had in the past). The ones I’m running right now are decent. I’m trying to source the Philips ones at this point though. 🙂 I think I’ve found a source. Yeah, the CamperVanCulture ones I had overwhelming FM broadband interference from. I couldn’t pick up any stations, even the ones with the massive 68kW transmitters nearby. I’d even notice people next to me tweaking their radio knobs when I’d pull up and turn on the lights. 🙂 I put the ferrite cores on the input leads to the little ballast box as well as the lead from the ballast box to the LED lamps themselves. I don’t think adding them to the radio power would have helped. I chuckled at your description of interfering with another cars radio. Hey if you do get the Philips leds installed, let me know how they work out. 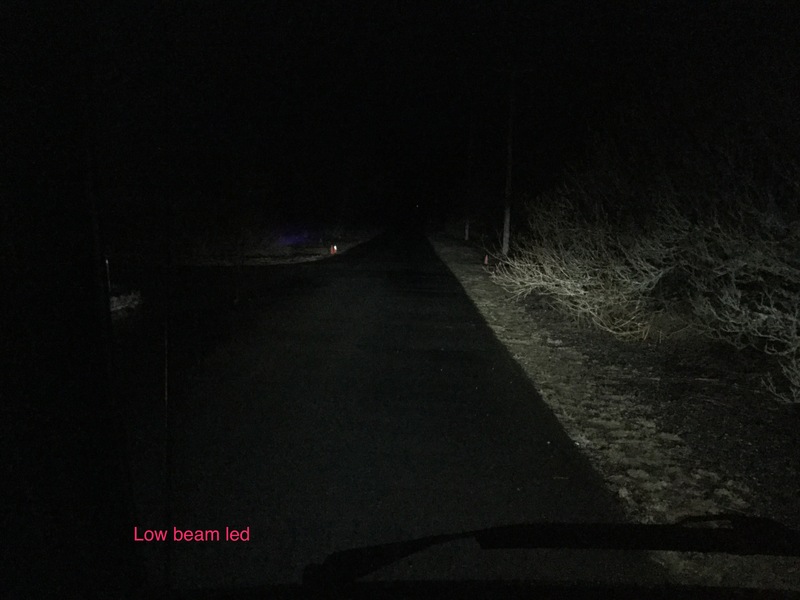 After a couple of days of use with my bulbs, dark and rainy nights, I’m still perplexed by the lack of light penetration at high beam. It can’t be related to the old thing with the yellow fog light effect can it? 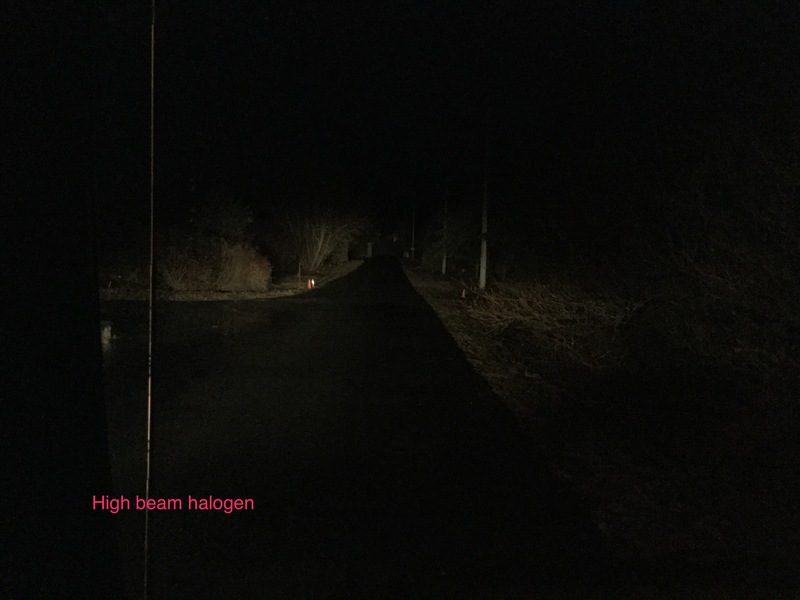 The leds are very much to the white and the halogen tending to the yellow, could that be really having an effect on my perception of light projection? I really have to do a test with the halogens and the leds side by side. When I see an antique vehicle with the cold color of LED headlights it strikes me as “wrong”. Not as bad as some feller who put square headlights on an old bug, but “wrong”. I have ‘other vehicles’ with modern lighting, and I know how nice it is to have modern lighting. When I see a wicked overland adventure Vanagon I think “my god that looks COOL! I wish I was THAT GUY!” And then when I look at my van, which I’ve kept mostly stock looking; I think “what a beautiful machine, I’m keeping the looks mostly original”. Black bumpers, black grilles, bigger wheels, that’s it! So if your van looks a lot different than original then the LED lights are allowed. Agreed I’m being kind of a fart. I’m currently running the 80/100s with 14+volts of Subaru alternator and its “OK”. Except not so thrilled about the VW square headlights beam pattern. The 80/100s burn out quick and replacing them is “on-going”. Which reminds me I need to carry a spare 80/100 bulb. 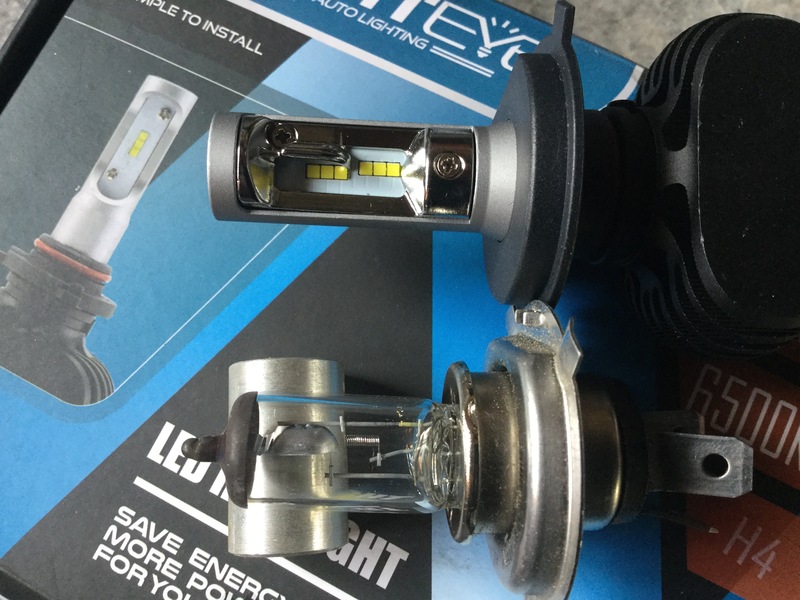 LED headlights that outperform the 80/100s AND are proper color temperature would be interesting. At night it’s harder to tell that the led lights are on an older vehicle, so there’s that. 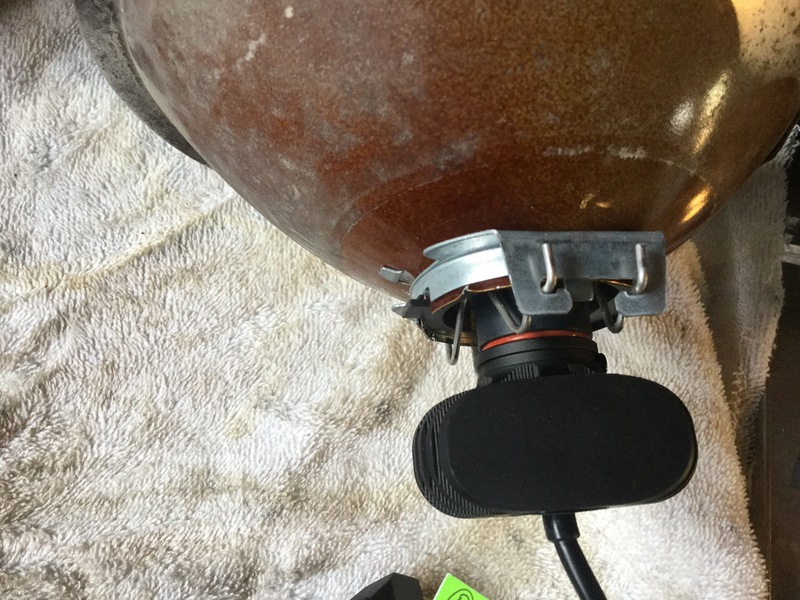 I was running the 80/100 W in those lamps, and I go through about one bulb a year. I’ll probably go back to them and see if I can use the led bulbs elsewhere. 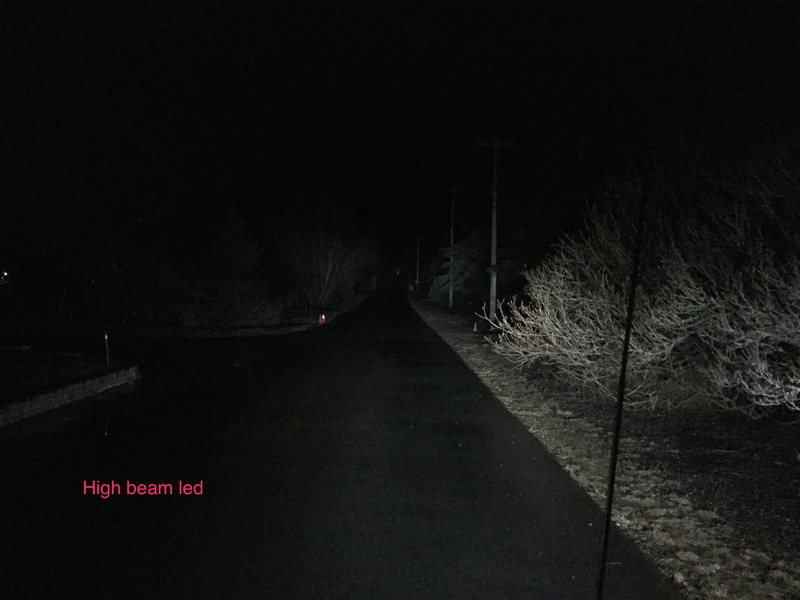 I’ll have to do more research to see if there is a reason I think the led lights don’t have the distance. Maybe it’s a colour perfeception thing. And if I could have bought these leds with a warmer colour I would have. I’m not sure they are available, perhaps the phosphor doping needed to make that colour doesn’t stand up to the higher power leds? It’s was an experiment ad maybe the mediocre results makes it harder to come to a firm conclusion.